With a Full-Frame, 36 x 24mm sensor, the Sony Venice can capture cinematic images at up to 6K resolution. It can also record in Super35 full height 2x anamorphic mode and is capable of up to 60fps in 4K. This camera package includes the Sony AXS-R7 recorder which enables RAW recording for when a higher specification workflow is required. Other advanced capabilities include internal 8-stop ND filters, Dual Base ISO and over 15 stops of latitude. Our Sony Venice rental kits include Full Frame and Anamorphic licensing as standard allowing your production to take full advantage of this camera. 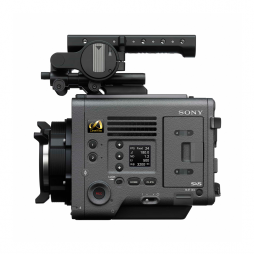 If you just require the camera without the AXS-R7 recorder, we also hire a standard Sony Venice package. Featuring a Full-Frame, 36 x 24mm sensor, the Sony Venice can capture cinematic images at up to 6K resolution. It can also record in Super35 full height 2x anamorphic mode and is currently capable of up to 60fps in 4K (planned firmware updates will increase the FPS of the Venice). Our Sony Venice rental kits include Full Frame and Anamorphic licensing as standard allowing your production to take full advantage of this camera. We also offer a Venice RAW hire package which includes the AXS-R7 external recorder and AXS media cards. 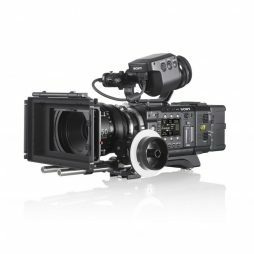 The Sony F55 is a lightweight, ergonomic 2k/4k digital camera perfect for self-shooting/run-and-gun operating with the capacity to shoot up to 50fps at 4K and 150fps at 2K. Sony's latest firmware update allows the user to control the project settings and other useful features without having to access the scroll-down menu, making the camera even easier to use and quicker to set up. The PMW-F55 comes with a PL mount as standard, allowing you to use a wide of array of professional lenses and accessories. We also stock a Nikon mount for shooting with Nikon stills and zoom lenses. This flexibility makes the Sony F55 as perfect for high-end documentaries and promos as it does for jobs on a tighter budget. The Sony FS7 II is an update to the popular PXW-FS7 which extends the capabilities and feature set of the original camera. Enhancements to the camera design include a variable ND filter, a lever locking ‘E’ lens mount, an improved viewfinder and the addition of Rec-2020 colour space (ITU BT.2020). The FS7 II retains all the functionality of the original Sony FS7, including 4K & HD resolutions, up to 180fps capture, the same Super 35mm format sensor and options (via E-mount adapters) to use a wide range of lenses, including PL, Leica & Canon EF. This is a highly versatile yet affordable camera which lends itself to a range of applications including digital cinematography, multi-camera and documentary shooting. Like the Original FS7, the FS7 II is compatible with the optional XDCA-FS7 extension unit. This allows the use of V-Lock batteries as well as Apple ProRes recording and time Code capabilities. Our Sony PXW-FS7 II hire kits are presented at a very high, industry-leading specification, with a comprehensive range of accessories included as standard. With an ergonomic design and a Super 35 size CMOS sensor, the Sony FS7 is a versatile camera capable of delivering great results in almost any environment. Featuring a native Sony E-Mount which enables a range of different lens adapters to be used, including Canon EF & PL, this 4K camera has a wide range of top-quality glass to choose from. 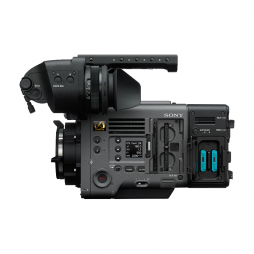 The Sony FS7 can be provided with industry-standard cinematography accessories for studio and location corporates, commercials and promos or configured into a self-shooting documentary-style camera – this camera is a true all-rounder. 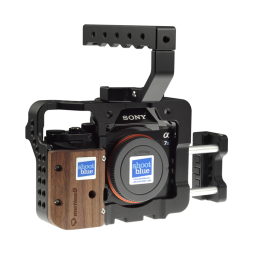 When combined with the optional XDCA-FS7 extension unit, the FS7 is capable of Apple ProRes recording and can be powered via industry standard V-lock batteries. 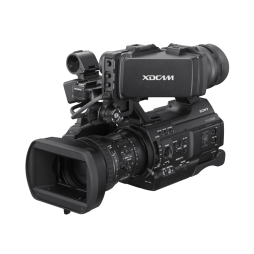 We also offer the upgraded PXW-FS7 II version of this camera. 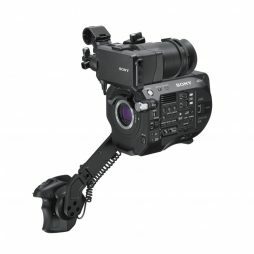 The Sony FS700 is a compact camcorder featuring a Super 35mm sensor & enhanced slow motion capture capabilities. Capable of achieving frame rates up to 960fps, the FS700 is perfect for productions where extremely high-speed capturing is a necessity. With a native Sony E-mount a variety of lenses, such as Canon EF & PL mounted glass, are available for use in conjunction with our stock of lens adapters. 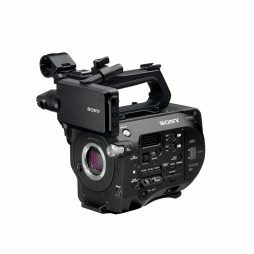 The Sony PMW-300 replaces the popular EX3 camera as the latest and greatest all-rounder for broadcast, corporate & event filming. 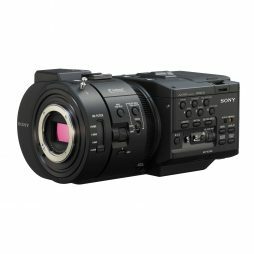 A compact XDCAM broadcast camcorder with support for 50Mbs HD recording & interchangeable lens capability, the lightweight, ergonomic design makes the Sony PMW-300 an excellent workhorse HD camera. Other features include cache recording, built-in ND filters & slow motion recording up to 60fps, giving the PMW-300 additional shooting flexibility. 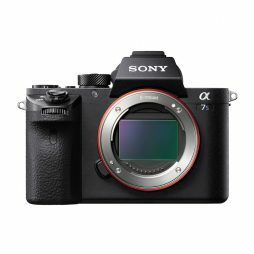 The Sony A7S II is an E-mount, full-frame 35mm camera with internal 4K recording capability and incredible low-light shooting capabilities. An update on the earlier A7S model, the Mk II benefits from increased ISO sensitivity (now up to 102,400!) & 5-axis optical image stabilisation, dramatically reducing rolling shutter artefacts. Other advanced features include 14-stop latitude in S-Log3 gamma setting, 12 mega-pixel stills capability and slow motion recording. Whilst a highly useful camera in it's own right, the A7S II is also complements other cameras such as the ARRI Amira & RED Dragon as a B-cam / 2nd unit camera. We offer a wide range of mount adapters for the A7S II, including options for PL, Leica-R & Canon lenses. Full-frame 35mm camera with 50Mbps HD video recording, 4K uncompressed output & an incredible 409600 maximum ISO capability. The A7S features a Sony 'E' lens mount which is supported by a wide range of lens adapters, including Canon EF with electronic control, Leica-R & PL, giving you a wide range of top-quality glass to choose from. The impressive low-light capabilities of the A7s make this camera a popular choice when recording using available light or when rigging is not an option. Fully supported by standard cinematography accessories thanks to the Motion 9 Cage, this Sony DSLR-style camera is ideal for travelling productions keen on getting great results.